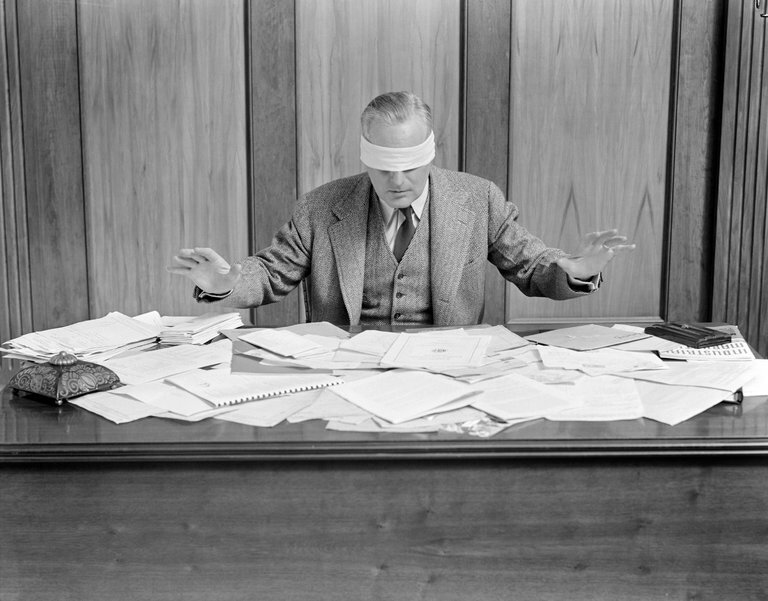 Metrics are never a substitute for narratives or detailed analysis. They can, however, reveal broad patterns in the course of war, and key uncertainties in the nature of how a war is being analyzed and reported. The Burke Chair at CSIS has prepared a selective comparison of the key metrics available on the “wars” in Iraq and Syria that help to illustrate both the patterns in the conflict and some of the key uncertainties—or “fog of war”—that shape efforts to portray and to understand it. This analysis is entitled The Uncertain Metrics of the “War” Against ISIS, and is available on the CSIS web site at https://csis-prod.s3.amazonaws.com/s3fs-public/publication/161121_ISIS_War_Iraq_Syria_r.pdf. The Institute for the Study of War (http://www.understandingwar.org/) is a particularly outstanding example of efforts to provide such analytic rigor and address the inevitable limits to summary metrics. IHS Janes and Stratfor have also made important contributions to such mapping and graphics and the BBC, New York Times, and Washington Post have provided consistently good attempts to provide reporting in graphic and map form. The government is expected to use the Rs 600,000 crores that have reportedly come into the system to fund schemes for the poor. Banks and others are also trying to create awareness about the advantages of going cashless. The Centre’s push to a cashless economy, welcome as it is, will be tough to implement given the low percentage of Indians with credit cards or even bank accounts, the Jan Dhan Yojana and the RuPay card notwithstanding. Of 720 million ATM cards issued, 450 million are used only to draw cash, and people still don’t use it for purchases. The demonetisation of Rs 500 and Rs 1,000 notes may speed up the process a bit, as many who have faced inconvenience in the past few weeks are thinking of changing the way they pay for goods and services. Banks and others are also trying to create awareness about the advantages of going cashless. The government’s objectives appear noble as it feels these steps would reduce the creation of black money and drive India to adopt common global practices. Japan and India: A Special Relationship? Tokyo and New Delhi may have to deal with China's bellicosity without the United States. Indian Prime Minister Narendra Modi’s recent three-day visit to Japan is a sign that the bilateral relationship between India and Japan is headed for newer heights. More importantly, there seems to be a palpable method to this resurgent Asian connection that does not just attempt to restore the balance of power in Asia. The two sides are astutely restructuring regional formulations in the Asian geopolitical theatre through a mix of economic, political and strategic accomplishments. India was able to draw Japan’s support for membership in the Nuclear Suppliers Group (NSG), negotiate small but significant progress in the Mumbai-Ahmedabad bullet train timeline, ease Indian student visas and facilitate the training of 30 thousand Indians in Japanese manufacturing practices. A week into the demonetisation of high value notes exercise, quarter page advertisements in newspapers warned people not to let their accounts be used to launder black money. 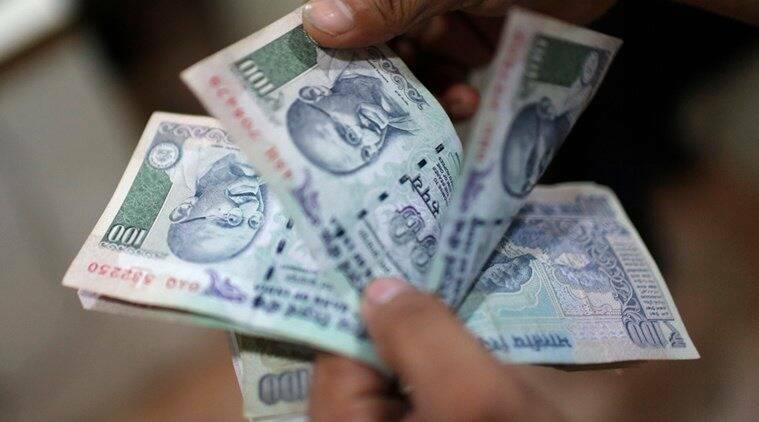 It warned of action under the Benami Transactions (Prohibition) Amendment Act which came into force on November 1, a week before Prime Minister Narendra Modi announced the demonetisation. A quick look at the whole issue of regulating benami deals. Benami is a Hindi word which means without a name. Benami property or assets, therefore, is a reference to property/assets whose actual owner is not the person in whose name it is. That is, property or shares, fixed deposits, debentures and bank accounts held by someone for someone else. The person who lends his or her name does not get any beneficial interest in the property or asset and is called a benamidar. Were the Mumbai terror attacks a warning to Islamabad? 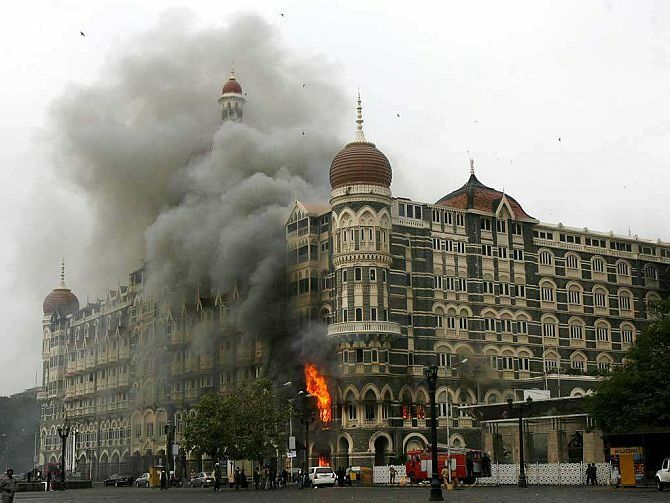 Experts trace the reasons for the 26/11 attacks to the Pakistan's military interest in three key areas: Kashmir, Afghanistan and nuclear armaments. Political scientist and historian Dr Hein G Kiessling -- who lived in Pakistan from 1989 to 2002, including four years in Quetta and nine in Islamabad during which he forged close contacts with Pakistani political, military and intelligence elites -- looks at the 2008 Mumbai terror attacks. What were the motives for the Mumbai attacks? Experts trace them back to the Pakistan's military interest in three key areas: Kashmir, Afghanistan and nuclear armaments. Regarding Kashmir, (then Pakistan president Asif) Zardari's statements about a cooperative relationship with India rang alarm bells in Rawalpindi; the military were afraid that Pakistan's presence in Kashmir would be diminished. In the case of Afghanistan, the traditionally warm relationship between New Delhi and Kabul fed their obsessions that India was a serious competitor in Afghanistan and a challenge to Pakistan's strategic interests and security. Dr Hein G Kiessling -- who lived in Pakistan from 1989 to 2002 in Pakistan, including four years in Quetta and nine in Islamabad during which he forged close contacts with Pakistan's political, military and intelligence elite -- on the horrific November 2008 Mumbai terror attacks. An exclusive excerpt from Dr Kessling's new book, Faith, Unity, Discipline: The ISI Of Pakistan. 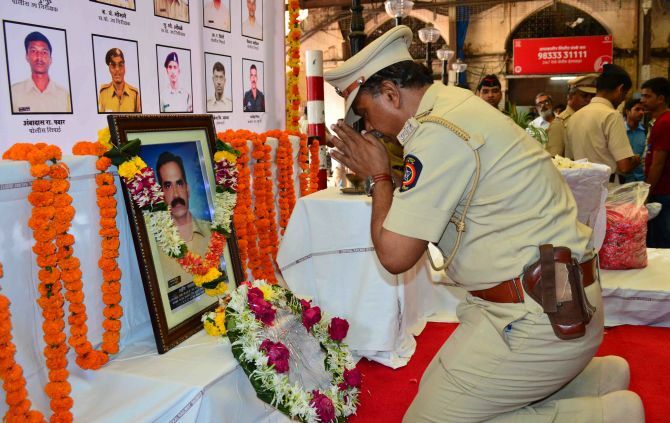 On November 26, 2008, a 10-man terrorist commando landed on small boats in Mumbai to spread terror and death. Their principal targets were two famous hotels, one of the city's major train stations and a Jewish centre. At the end of 60 hours of continuous terror, there were 173 dead and numerous wounded. Of the 10 terrorists, nine were killed and one, Ajmal Amir Kasab, from Pakistan's Punjab, was captured alive. He was later hanged. The public frenzy for getting hold of cash is visibly subsiding. However, the pressure may well be shifting to smaller towns to which currency supply may not have kept pace. Also, the next wage payment for casual workers, who may well comprise nearly 60 per cent of the workforce, is approaching. Therefore, it may be a good time to take stock, draw lessons and initiate steps to prevent short-term pains from resulting in permanent loss of economic activity. For me, the ethical and social aspects of this dramatic move are of utmost importance. The measure represents the draining of a cesspool, created over seven decades. We are all party to its creation, either actively or in our passive acceptance of the growing vulgar ostentatious consumption that threatens to become all pervasive. Demonetisation will surely reverse, to some extent, the brazen flaunting of ill-gotten wealth. It may induce India to turn away from the Latin American model of state, with its extreme inequities and rampaging drug mafias, and hopefully, turn it towards the more equitable and honest East Asian model. After years of negotiation, India and Japan signed an historic deal that would allow Japan to export nuclear technology, equipment, and material to India. This is the first time Japan has signed a nuclear cooperation agreement with a nuclear-armed nation that is not a member of the Nuclear Non-Proliferation Treaty (NPT). As a critical supplier of nuclear components, Japan’s agreement is vital for other suppliers like the United States to move ahead on nuclear contracts. Q1: What is the Agreement for Cooperation in the Peaceful Uses of Nuclear Energy? Restrictions on the transfer of nuclear material, related equipment, and technology to third countries. India's interior minister, Rajnath Singh, said to "trust the Indian army" as fighting intensified in the disputed Kashmir region. Pakistani officials said India fired into Kashmir on Wednesday, killing at least nine people. By REUTERS on Publish DateNovember 23, 2016. NEW DELHI — Shelling and gunfire intensified on Wednesday on the de facto border between India and Pakistan in the Kashmir region, killing nine civilians on a bus one day after the Indian Army promised retribution for what it said was the killing of three of its soldiers. Pakistan said Indian troops fired on a bus in the Neelam Valley on Pakistan’s side of the Line of Control in the disputed Kashmir region, killing the nine passengers and seriously wounding nine others. The Indian military also fired on rescue workers in an ambulance trying to reach the wounded, Pakistan said. In other violence reported on Wednesday, the Indian military also killed three Pakistani soldiers, including a captain, Pakistan said, and Pakistani forces retaliated, killing seven Indian soldiers. Following its economic expansion in Central Asia, China unexpectedly took a step to expand its military dominance in the region. 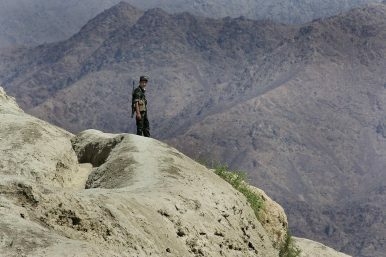 In September 2016, Beijing offered to build 11 new border checkpoints and a new military facility along the Tajikistan-Afghanistan border, which raised some concerns in Russia. Although these moves could position China as a security player in Central Asia, Russian experts seemingly are doubtful about the future of any China-Central Asia military alliance. Notably, Russia has an entrenched presence in the region and its largest foreign military base is located outside the Tajik capital. China’s economic expansion in Tajikistan is a very young phenomenon. In the early 2000s, Chinese influence in Tajikistan was quite weak and limited, due to the lack of transport networks connecting both countries. Only after the opening of a new major highway between two countries did bilateral trade significantly increase. Another factor that contributed to the boost in Chinese economic activity was the availability of financial resources and readiness to invest even in less important sectors in Tajikistan. While few others seemed to be interested in investing financially in Tajikistan’s vitally important infrastructure, Beijing not only sponsored various projects but also got giant Chinese companies involved. Bilateral economic relations entered into a new stage in the shadow of the global economic crisis, in particular during a period of worsened Tajikistan-Russia relations. Russia’s pro-Uzbekistan position in 2009 over the Rogun dam dispute became the main catalyst that pushed Dushanbe toward China. Tajikistan, one of the poorest former Soviet republics, is heavily dependent on energy imports, particularly in the winter, and regularly experiences electricity outages. Therefore, construction of the Rogun dam is a matter of life and death for Tajikistan, which is in urgent need of energy. Authorities say the Rogun dam would be able to provide electricity, for the whole country. They say the dam could also provide parts of Afghanistan and Pakistan with cheap electricity. 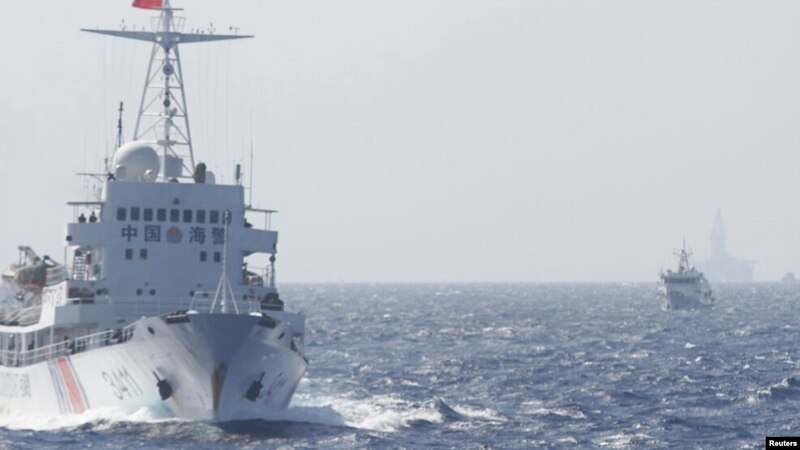 FILE - Ships of Chinese Coast Guard are seen near Chinese oil rig Haiyang Shi You 981 in the South China Sea, about 210 km (130 miles) off shore of Vietnam. The search for oil and natural gas is seen as a driving factor in rival claims to the South China Sea, with many of the countries in the region currently reliant largely on fuel imports. Yet no one has struck a head-turning deposit of oil or gas in the 3.5-million-square-km (1.4-square-mile) sea, which stretches from Taiwan to Singapore, despite prospecting since 1970. Analysts who follow the South China Sea disputes point to national sovereignty as a top reason that countries are exploring for oil and gas. Brunei, China, Malaysia and Vietnam do their own prospecting. The Philippine government accepted exploration bids in 2014 from private companies. Fossil fuel exploration came up in October when Manila and Beijing began discussing joint oil exploration, according to Philippine media. The talks are part of rebuilding relations that were strained since 2012 when vessels from the two sides became locked in a standoff at Scarborough Shoal west of Luzon Island. The US’ opening to China was being facilitated by India’s north-western neighbour. The Pakistani channel of talks between the United States (US) and China would have collapsed if the US had publicly condemned human rights violations and atrocities by Pakistan’s army against the people of East Pakistan (now Bangladesh), former US Secretary of State Henry Kissinger has revealed in a recent interview with Jeffrey Goldberg, editor-in-chief of The Atlantic. For better understanding, one must know that US’ opening to China, which was facilitated by Pakistan, began in 1969. The crisis in Bangladesh, on the other hand, made no news until the early 1970s. In 1971, when hostilities broke out between India and Pakistan over latter’s genocide of the Bengali population in East Pakistan and the refugee crisis that ensued, Islamabad was acting as an interlocutor to facilitate exchanges between Beijing and Washington at a time when the relations between the two were virtually non-existent. What’s So Great About American World Leadership? The U.S. voters who rejected decades of bipartisan foreign-policy consensus might be on to something. How has America come to elect a president who so starkly repudiated decades’ worth of the largely bipartisan vision of U.S. global leadership? And if that vision won’t be the basis of American foreign policy in the 21st century, what will replace it? The big message of 2016 is that large numbers of American voters, Democrat and Republican, do not buy what their political leaders have been selling for so long, and that includes foreign policy. The evidence of this from Trump’s victory is reinforced by Senator Bernie Sanders’ remarkable showing in the Democratic primaries, and by years’ worth of public-opinion surveys showing the widespread view that the United States “does too much in helping solve world problems.” It is also reinforced by the high poll numbers of an outgoing president who has mounted his own quiet campaign against key elements of Washington’s foreign-policy orthodoxy. … “Look at this!” Flynn said, holding up his phone so that I could see the screen. At his request, his communications staff would send him the daily dispatches published by tribal media outlets in Pakistan’s troublesome northwest region. These articles chronicled skirmishes, feuds, and revenge killings—it was unfiltered information that any decent Western news stringer would know how to read, but that, seven years into the war in Afghanistan, the American military was still far from absorbing. Flynn got it, though. He was drawn to the little flecks of truth scattered on the ground. President-elect Trump campaigned on making broad increases in U.S. military forces: Raising U.S. Army manning from 450,000 active-duty soldiers to 540,000, Marine Corps manning from 182,000 marines to 200,000, Navy combat strength from 272 deployable ships to 350, and the number of combat aircraft in the Air Force (USAF) from 1,141 to 1,200. In gross terms, this would mean a 20% increase in the Army, 10% increase in the Marine Corps, 29% increase in the Navy, and 5% increase in the USAF. These numbers, however, do little more than highlight a desire to make major increases in U.S. forces. They are suitable campaign goals for illustrating a set of policy goals, but they are too vague, and too military service oriented, to have any real meaning. Moreover, they are not tied to any clear strategy, mission priorities, threat, and time-scale, or defined in anything like the detail needed to determine their cost and budget impact. Russia in one of the most formidable military powers in the world. Vladimir Putin has introduced a new hypersonic missile that could reach the US west coast in 12 minutes. It’s virtually undetectable by anti-missile shield systems. Its’ incredible 4.3 miles per second speed renders it nearly impossible to intercept. The potential havoc it could wreak is unimaginable. The missile could shatter cities on America’s east and west coast as well destroy European capitals. It could pulverize an area the size of France and reach the UK in 13 minutes. The Obama administration’s frosty relationship with the Kremlin must be salvaged. Russia’s terrible power needs to be wrought against common enemies like ISIS. We cannot continue to alienate Putin. A war with Russia would have devastating consequences. We might able to win, but our victory would come with an awful price. WASHINGTON — Donald J. Trump ran for president boasting that he knew more about fighting terrorists than America’s generals. But now that Mr. Trump is the president-elect, he is spending a great deal of his time with retired generals, and those of a particular breed: commanders who, when they served, were often at odds with President Obama. One has been named as Mr. Trump’s national security adviser, and several others are candidates for coveted positions in his cabinet or are advising him on how to confront the world’s greatest threats. They would give his foreign policy a far more aggressive cast than Mr. Obama’s. Turning to the retired officers reflects Mr. Trump’s preference for having strong, even swaggering, men around him. But it worries national security experts and even other retired generals, who say that if Mr. Trump stacks critical jobs purely with warriors, it could lead to an undue emphasis on military force in American foreign policy. Moscow has complained about and done everything to stop efforts to create transportation links between China and Europe that bypass Russia, but Moscow experts say the biggest reason China is focusing on these alternatives is because Russia lacks the transportation infrastructure such a project requires. Still worse, some of these specialists say, Russia’s infrastructure is in such bad shape and is likely to remain that way in the future, that absent a radical shift in policy, the country’s regions will not be able to take advantage even of “Silk Road” projects that bypass Russia by creating branch lines linking in to them. In an article in today’s “Nezavisimaya gazeta,” journalist Andrey Serenko says bluntly that “in the subjects of the [Russian] Federation, there is no infrastructure for participating in Beijing’s logistical initiative,” the result of a lack of “political will on the part of the federal leadership”. This bottleneck, Serenko continues, is highlighted by the efforts of Kirsan Ilyumzhinov, the former president of Kalmykia, to revisit a proposal he made seven years ago to develop an 800-kilometer canal that would like the North Caucasus with the Chinese project and lead to development there. In 2009, his idea was shot down not only by the onset of the economic crisis which left little money for such gigantist efforts but also by lobbyists in Moscow who preferred to build another canal that would serve only domestic Russian markets but that promised more money for those involved. It hasn’t been built either, the “Nezavisimaya gazeta” journalist notes. The rise of emerging economies in the Europe and the Commonwealth of Independent States (ECIS) region has boosted South-South cooperation, according to a new report. The study by the UN Office for South-South Cooperation and the UN Development Programme (UNDP) is the first of its kind. It explores how mutual support has intensified over the last twenty years, following the region’s fundamental changes in economic, political, and social structures. The study covers 31 countries and territories, highlighting the wealth of South-South Cooperation (SSC) in the region. It cites many interesting examples of SSC, and provides concrete suggestions to national policy-makers and other relevant stakeholders on how to catalyse SSC to achieve development objectives and Sustainable Development Goals (SDGs). Counters and territories the report covers are: Albania, Armenia, Azerbaijan, Belarus, Bosnia and Herzegovina, Bulgaria, Croatia, Cyprus, the Czech Republic, Estonia, Georgia, Hungary, Kazakhstan, Kosovo (UN Security Resolution 1244), Kyrgyzstan, Latvia, Lithuania, Republic of Moldova, Montenegro, Poland, Romania, the Russian Federation, Serbia, the Slovakia, Slovenia, Tajikistan, The former Yugoslav Republic of Macedonia, Turkey, Turkmenistan, Ukraine, and Uzbekistan. The draft study titled “South-South Cooperation: Towards Sustainable Human Development in ECIS” was presented early November in a global Expo in Dubai, as part of an open consultation process. Various UN publications show that in 2013, SSC was estimated to have reached USD 20 billion up from between USD 9.5 billion and USD 12 billion in 2006. A similar trend exists for triangular cooperation. (FPRI) — During his Presidential campaign, Donald J. Trump continuously emphasized several themes: the United States was on the “losing” end of a number of security and trade deals with other countries, while “free-riders” were both draining U.S. military capacity and threatening to involve America in conflicts that were not of U.S. concern. Trump, under the rubric of “America First,” was critical of military interventions driven by a particular internationalist narrative such as the global war on terrorism or the responsibility to protect rather than interventions to advance traditional notions of national interests. His critique is historically correct. Since 1945, the United States has employed military force about every four years. In only one instance did the U.S. respond directly to an attack against the homeland. The cost of this strategy of intervention has increasingly fallen disproportionally on the United States, while the benefits have accrued to “U.S. partners,” or competitors. To quote former Senator and Democratic presidential candidate, Paul Tsongas “the Cold War is over and Japan won.” Today, we can say the U.S. has made the world safer for Chinese investment. This dynamic seemed to resonate among groups who coalesced to become the Trump coalition and enabled him to break Clinton’s “blue wall” to win the Electoral College tally. NEW YORK – In less than two months, the American political transition will be over. The 45th president of the United States will settle into the Oval Office. President-elect Donald Trump will become President Trump; President Barack Obama will join Jimmy Carter, George H.W. Bush, Bill Clinton, and George W. Bush as a living former president. Speculation about Trump’s likely foreign and domestic policies is rampant, but little if any of it is meaningful. Campaigning and governing are two very different activities, and there is no reason to assume that how Trump conducted the former will dictate how he approaches the latter. We also do not yet know who all the principal advisers will be and how (and how well) they will work together. But amidst this uncertainty, there are some things we do know. The first is that Trump will be greeted by an inbox piled high with difficult international challenges. To be sure, no single problem compares with the Cold War at its height, but the sheer number and complexity of difficult issues is without precedent in modern times. Topping the list will be the Middle East, a region in an advanced stage of unraveling. Syria, Iraq, Yemen, and Libya are all dealing with a mix of civil and proxy wars. The Iran nuclear pact at best manages one aspect of Iranian power, and only for a limited duration. The Islamic State (ISIS) may lose its territorial dimension; but it, along with other groups, will continue to pose a terrorist threat for years to come. The plight of millions of refugees constitutes not just a humanitarian tragedy, but also an economic and strategic burden to countries in the region and in Europe. In an age when threats are proliferating and once-secretive military operations often are broadcast in real time across a range of social media, the nation’s integrated intelligence community must be “agile and adaptive,” the Pentagon’s intelligence chief said Thursday. Speaking at the Defense One Summit in Washington, Defense Undersecretary for Intelligence Marcel Lettre said the “YouTube effect” had profound implications for the way special operations forces and intelligence officers work together. 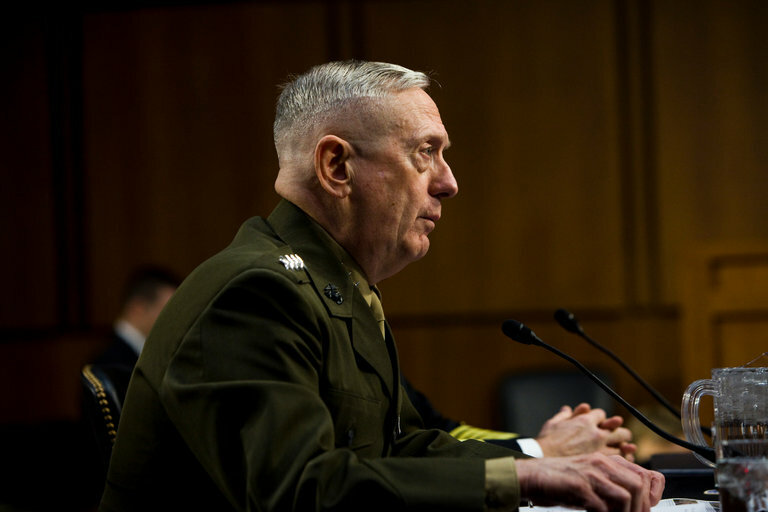 The United States has gone “from secret wars to low-visibility wars,” he said. In intelligence-driven operations, U.S. forces have a “decades-long history of not talking about what successes we might have had,” Lettre said. But the Obama administration has been characterized by a “strong sense from the president that need to be able to have transparency into the work we’re doing to defeat threats from terrorism.” As a result, the Defense Department is more likely to inform the media and the public about key operations. Throughout history, military law has been viewed as a compromise between justice and necessity. In July 5 2016, the Supreme Court (SC) judgement on the concept of Summary Court Martial (SCM) in the Army generated a fascinating debate in military circles. The SC ruled: "The summary court martial is an exception, and it is imperative that a case must be made out for immediacy of action." It upheld the legality of the SCM, but emphasised that this provision was based on necessity. Expeditious enforcement of discipline must be used as an exception, not as a rule, lest the spirit of natural justice gets violated. While what the SC said was well known to the military Commanders of the past - that these are extraordinary provisions meant to be invoked in exceptional circumstances – the perception had become foggy in the past few decades, with the SCM being employed as a method in the regular routine. It’s an approach that the SC has now deprecated and rightly reminded the Army to correct. A recent article published in IEEE Intelligent Systemshighlights the requirements the IoT will place on search engines and brings together the latest research being carried out in this field. ‘On Searching the Internet of Things: Requirements and Challenges’ was written by leading researchers working in the field of next generation communications at the University of Surrey’s Institute of Communication Systems (home of the 5G Innovation Centre) and Ohio Center of Excellence in Knowledge Enabled Computing (Kno.e.sis) at Wright State University (USA). With more and more IoT devices being connected to the internet, and smart city data projects starting to be implemented, there is an urgent need to develop new search solutions which will allow information from IoT sources to be found and extracted. While existing search engines have ever more sophisticated and effective ways of crawling through web pages and searching for textual data, the article argues that they will not be effective in accessing the type of numerical and sensory data which IoT devices will need to gather. The article states that whereas in the past, human users have searched for information on the web, the IoT will see more machine-to-machine searches which are automatically generated depending on location, preferences and local information. Autonomous vehicles, for example, will need to automatically collect data (such as traffic and weather information) from various sources without a user being involved. 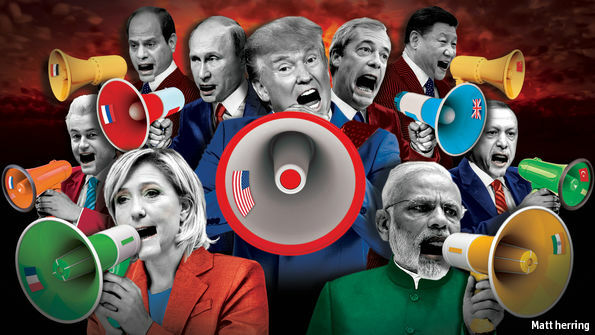 Guy Verhofstadt, an insightful European liberal Parlamentarian and lawmaker, former Belgian premier and chief Brexit negotiator, has already sounded the alarm: World War III may already be in the making and the election of a Donald Trump portents it. He is convinced that a “ring of autocrats” is presently trying to wreck the EU and cites the presidents of Russia and Turkey and their counterpart Donald Trump who will soon be joining them. He has also accused Russian President Vladimir Putin of “openly financing” populist and Eurosceptic parties while Turkish President Recep Tayyip Erdogan targets Turkish opposition members in Europe. He has also pointed out that Trump’s chief strategists Steve Bannon has hinted at plans to open new bureaus for his right-wing Breitbart News website in France and Germany in order to influence elections there. This may not yet constitute an international conspiracy to destroy EU values but the signs are surely there constituted by the three stooges, Putin, Erdogan, and Trump, who rather than constituting a ring of allies and friends of Europe cooperating with the EU (after all, two are in NATO, and one has applied for entry into the EU) are perhaps better characterized as a menacing ring of autocrats planning its demise. Donald Trump, who soon will be the de facto “autocrat” (whether or not he thinks of himself as one such) of all the democratic forces of the North Atlantic Alliance (NATO) will soon have to face the dilemma of whether defending a Baltic NATO member against Vladimir Putin is worth sparking World War III, because that’s the choice that may eventually need to be confronted. As audiences get ready to see the World War II spy movie “Allied” starring Brad Pitt and Marion Cotillard this holiday weekend, it is worth remembering the tale of a real-life American spy, whose feats in Nazi-occupied Norway helped forge a partnership between the U.S. and Norway that endures. Army Maj. William Colby, with the Office of the Strategic Services, parachuted into Norway in March 1945 to lead the Norwegian Special Operations Group. Their job was to prevent 150,000 German troops from returning home to fight the Allies. “At about this time, the Battle of the Bulge had been liquidated, but there was fear on our side that another last gasp by the great beast was in the making,” William Colby, who later became director of the CIA, wrote in a memoir of the mission that is now available on the CIA’s website. More than 70 years later, Arthur Colby was able to retrace his grandfather’s steps after training in Norway with the Marines. Arthur Colby, then a Marine second lieutenant, views a memorial to those killed in 1945 when an Allied plane crashed in Norway while bringing more operatives for the Norwegian Special Operations Group.Photo Credit: Courtesy of Arthur Colby. 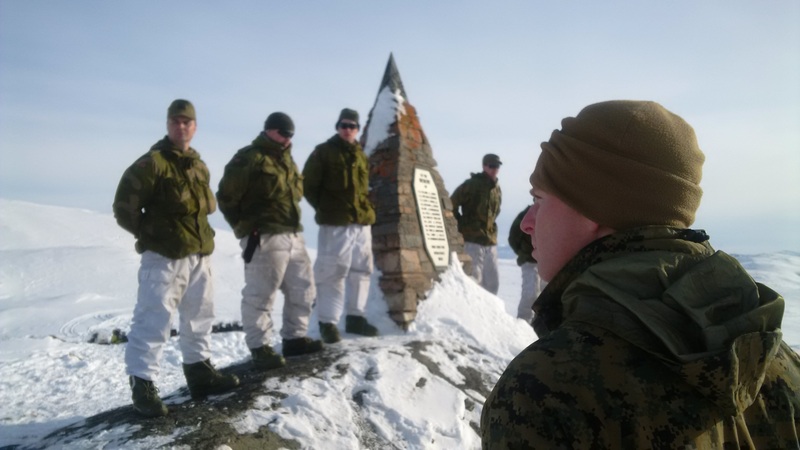 Arthur Colby was a Marine intelligence officer taking part in Exercise Cold Response 16 this February and March when he came upon maps and photos of his grandfather’s team in a Norwegian building. AFTER the sans culottes rose up against Louis XVI in 1789 they drew up a declaration of the universal rights of man and of the citizen. Napoleon’s Grande Armée marched not just for the glory of France but for liberty, equality and fraternity. By contrast, the nationalism born with the unification of Germany decades later harked back to Blut und Boden—blood and soil—a romantic and exclusive belief in race and tradition as the wellspring of national belonging. The German legions were fighting for their Volk and against the world. It is troubling, then, how many countries are shifting from the universal, civic nationalism towards the blood-and-soil, ethnic sort. 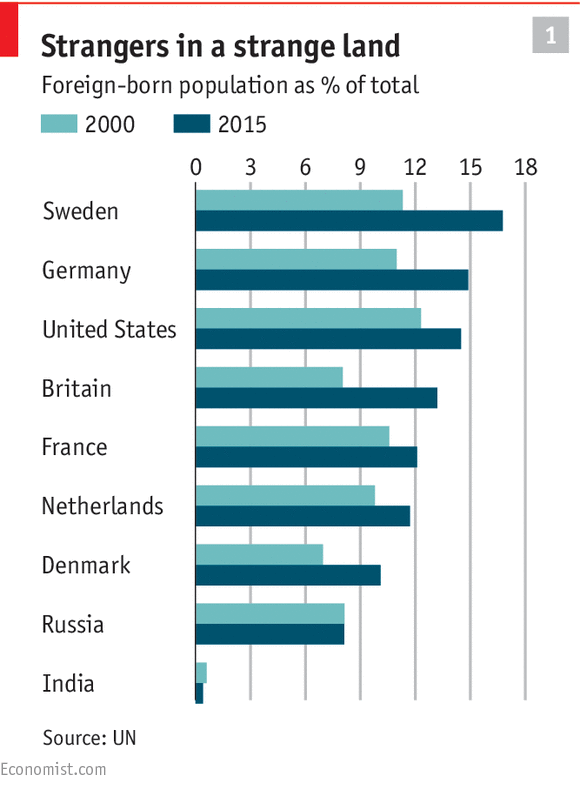 As positive patriotism warps into negative nationalism, solidarity is mutating into distrust of minorities, who are present in growing numbers (see chart 1). A benign love of one’s country—the spirit that impels Americans to salute the Stars and Stripes, Nigerians to cheer the Super Eagles and Britons to buy Duchess of Cambridge teacups—is being replaced by an urge to look on the world with mistrust. Danny Kahneman grew up Jewish in occupied France during World War II. Once in Paris, after curfew, he was nearly captured by an SS officer. His family traveled from town to town through rural France, hiding and hoping people wouldn’t recognize them as Jews. As Michael Lewis writes in his forthcoming book, “The Undoing Project,” Kahneman survived the Holocaust by keeping himself apart. The family moved to Jerusalem. The army assigned him to a psychological evaluation unit and Kahneman became a psychologist. Amos Tversky was born in Israel, to a mother who ignored him for long periods so she could serve the nation. He became a paratrooper in the war of 1956, and received one of the nation’s highest awards for bravery after he rescued a man who’d fainted on a torpedo just before it exploded. What's the Right Way to Regulate Commercial Drones? As the barrage of television, newspaper, and online advertisements alert us to Black Friday shopping extravaganzas, small unmanned aerial systems (sUAS) remain prominent gifts for this year’s holiday wish lists. The ever-lowering costs of these commercial, hobbyist aircraft—and their components—combined with the FAA’s decision to relax restrictions on when, where and what can be flown, and by whom, has the law enforcement community decidedly less excited. Today, law-enforcement operators have two legal options for enforcing laws that address either negligent or deliberately antagonistic drones in urban and rural domestic environments: (1) see something, say something, and (2) forensically identify the drone owner-operator after it has taken off, landed, or caused harm or disruption. Glaringly absent in law enforcement’s toolbox is the ability to actually counter drones. Interdicting or preventing a sUAS after take-off and before disruption or deliberate damage occurs is bit of a blurry mess. It is increasingly clear that nation states no longer have a monopoly on biological weapons. At the same time, new technology is making the information and equipment needed to create them cheaper and more accessible. Both state and non-state actors could weaponize known bacteria or viruses such as anthrax, smallpox, botulinum, and Ebola. However, because of advances in genetic engineering, it is just as likely that future threats will come from a new, more deadly strain of a known disease. Despite a heavy counterterrorism emphasis, the United States government is in no way ready for a bioterror attack on a grand scale, and should be doing more to prepare for both conventional and emerging threats. Conventional threats are the weaponization of known diseases or bacteria such as smallpox and anthrax. Although the U.S. and Russia are the only two countries permitted to retain smallpox samples, intelligence tells us both Iraq and North Korea have them illegally, and North Korea has a long-standing biological weapons program. [i] Experts believe that North Korea can produce smallpox, anthrax, rabbit fever, and hemorrhagic fever-based biological weapons without external help. [ii] Meanwhile, the U.S. is almost entirely focused on North Korea’s nuclear missile program even though their nuclear missiles are not yet able to reach us. 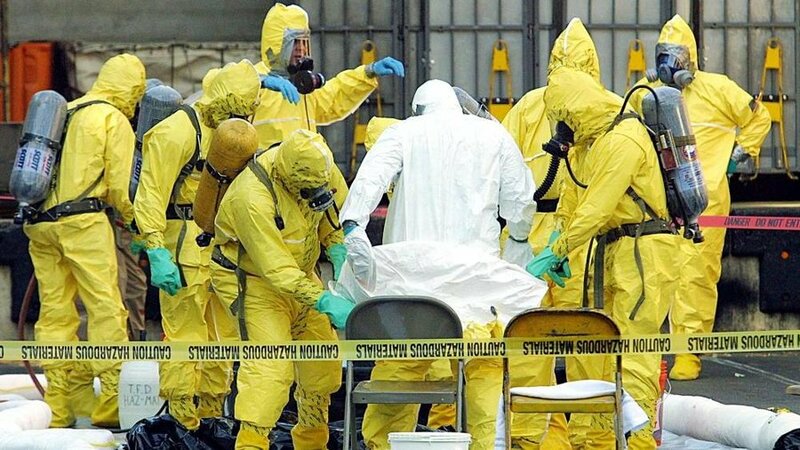 A group or individual bent on perpetrating a bioterror attack on the U.S. need not set foot on American soil to create a pandemic, they need only release an undetectable sample in a crowded airport terminal. Because most of the rest of the world is even less prepared to face an attack, the U.S. is extremely vulnerable, making readiness even more important. A comprehensive strategy must prevent information from falling into the wrong hands and defend against public health threats with appropriate policies and interagency coordination. The recent heists in Europe and Asia were run from central, remote command centres, enabling criminals to target large numbers of machines in "smash and grab" operations that seek to drain large amounts of cash before banks uncover the hacks.